Manu Prakash, a scientist and professor at Stanford University in California, thinks all kids should have a chance to study science. His new invention – an inexpensive paper microscope called the Foldscope – just might make that possible. The Foldscope is printed on a single sheet of polymer (plastic)-coated paper, with a 3D printer. Users punch the pieces out of the paper and fold them according to colour-coded illustrations, similar to doing origami. It takes about five minutes to put one together. The finished microscope weighs less than 10 grams (about the same as two nickels), fits into a pocket, and can survive being dropped, stepped on and submerged in water. It has a lens about the size of a poppy seed, a light-emitting diode (LED), and it runs on a watch battery. 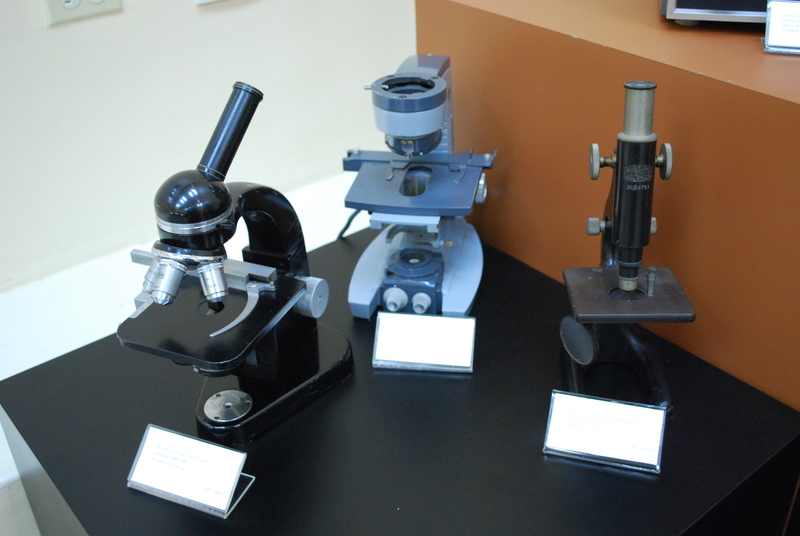 It uses standard microscope slides and can project images on a wall. The Foldscope can magnify objects up to 2,000 times – the same as much bigger microscopes used in professional laboratories. But while standard microscopes can cost hundreds or thousands of dollars, the Foldscope costs less than a dollar to make. Dr. Prakash has two main goals for the Foldscope. One is to improve science education around the world by giving microscopes to as many children as possible. The other is to provide health workers in poor and remote areas with inexpensive, portable microscopes so they can diagnose and treat disease faster. This summer, Dr. Prakash’s organization will distribute 10,000 Foldscopes for people to test. He asked people to submit applications stating what they would do with one of the microscopes. There were replies from people in more than 130 countries. Some of the successful proposals included an American beekeeper who wants to catalogue micro-organisms that make bees sick; a farmer from Mongolia who wants to teach people in his community that they should boil or pasteurize their milk by showing them the bacteria that live in it; and a 12-year-old from Qatar who wants to learn how the Namib desert beetle gets water from morning fog. The testers are asked to design and carry out a simple experiment that can be written on one page. Their methods and results will be compiled in a manual that will help other people use the Foldscope in the future. Dr. Prakash grew up in India, where he and his brother created many winning science fair projects. But when he became a scientist, he noticed that very little scientific research is being done in places like India, China and Africa. He hopes to change that by distributing inexpensive laboratory instruments like the Foldscope to people around the world. Digital microscopy for elementary and middle-school students. This is a very inexpensive product that can make a tremendous difference to people around the world, especially in developing countries. Explain why this invention is so important, and how it could change research and science. If you had to write a proposal in order to use one of the new Foldscopes, what would you choose to study and why? Write a 5 sentence proposal explaining your idea. New words are invented all the time. Sometimes, they are even added to the dictionary if they become very popular. The name of this invention, Foldscope, is a name that combines the words ‘fold’ and ‘microscope’. Think of some other names for this new invention. They could be combinations of known words or totally made up names.